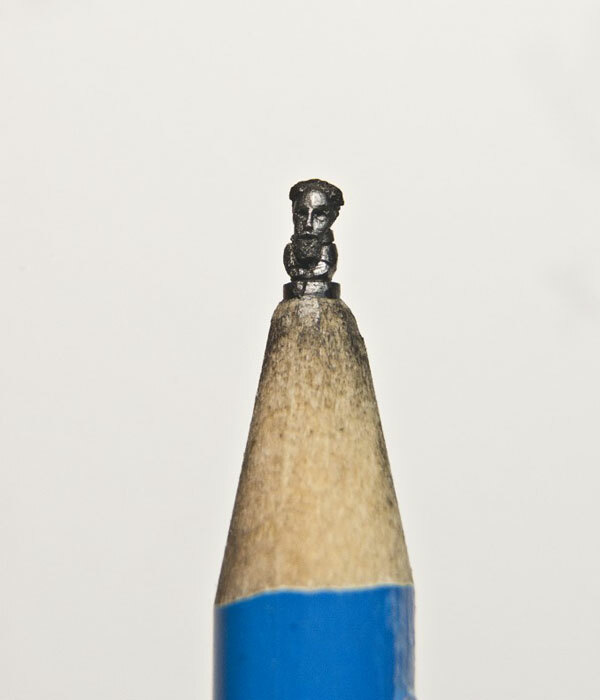 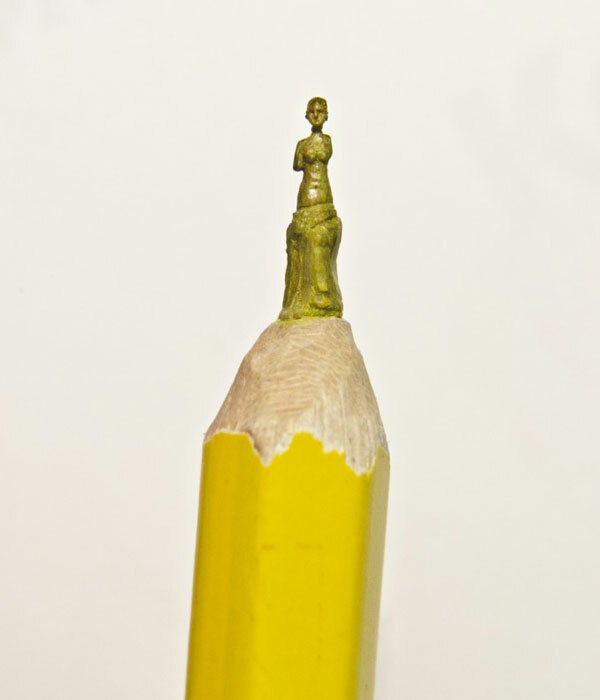 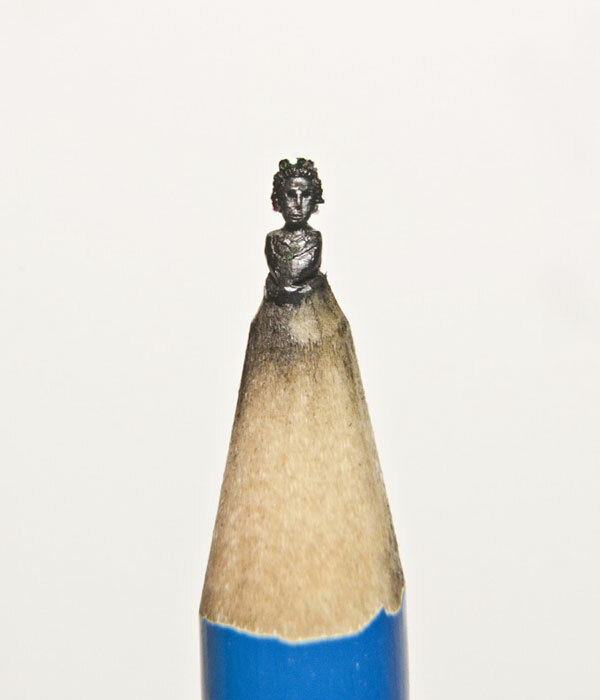 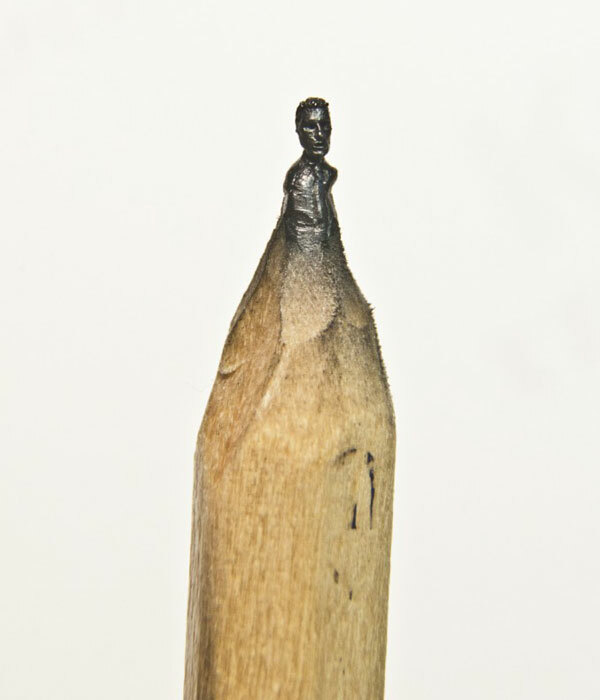 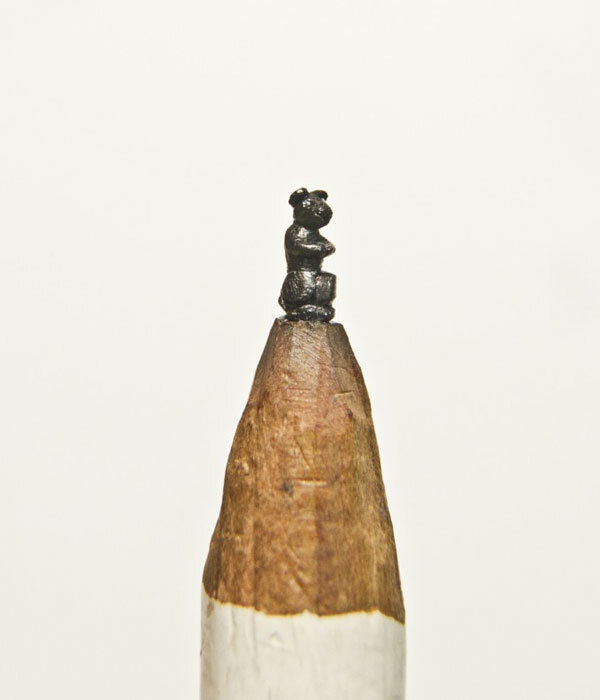 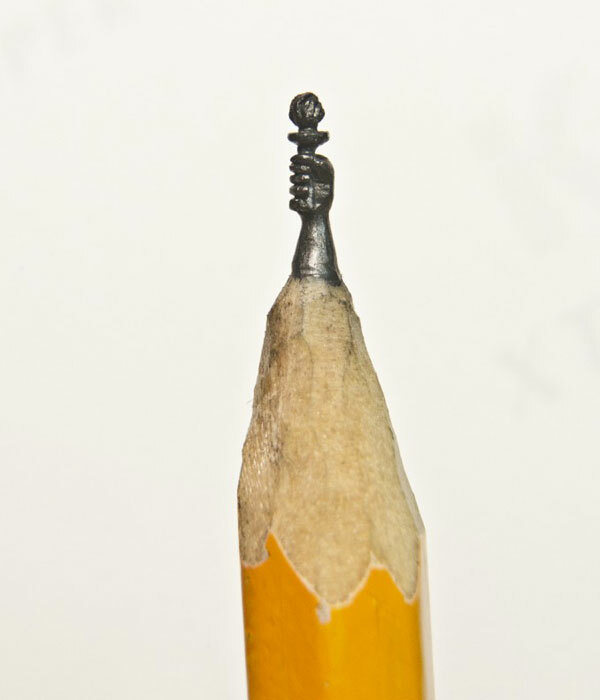 Intricate miniature sculptures on the tip of a pencil carved using only a pin and a magnifying glass. 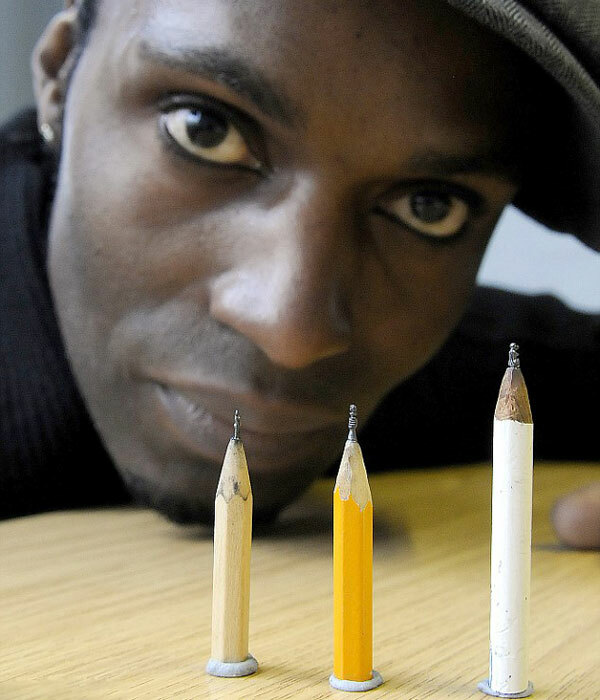 The idea came to him by chance when he sharpened a pencil and noticed the tip looked like a human hand. 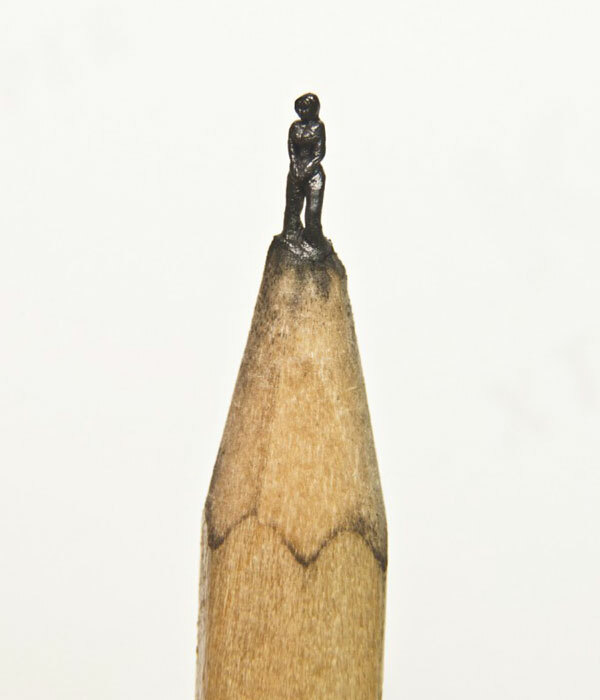 When people see the sculptures they ask how big they are and when I tell them that it’s on a pencil they just walk off because they think I’m having a laugh or that it’s been Photoshopped.